Pansing Brooks said Nebraska is stifling its economy by not providing basic civil rights protections for all employees. “There are many practical reasons to advance LB627, but the extension of love and kindness to a community that has been marginalized is equally important,” she said. 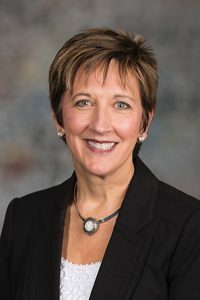 Sen. Megan Hunt of Omaha spoke in support of the bill, saying that it is shameful to talk about the state’s motto of equality before the law when members of the LGBTQ community do not have the same workplace protections as others. 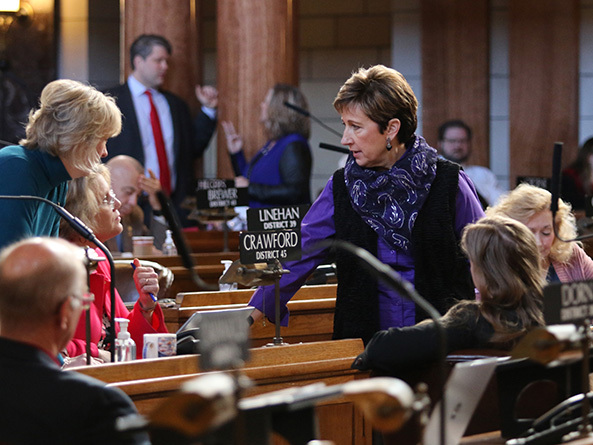 Omaha Sen. Steve Lathrop also supported the bill. Many of the people who believe that life begins at conception oppose legal protections for those same lives when individuals are members of the LGBTQ community, he said. Opposing the bill was Sen. Robert Clements of Elmwood. Every person should be treated with dignity and respect, he said, but the bill improperly would restrict employers’ free exercise of their religious beliefs. Lincoln Sen. Suzanne Geist also opposed the measure. The Legislature should not adopt laws that pick and choose who is afforded freedom and who is not, she said. The Legislature adjourned for the day before voting on LB627. Per a practice implemented by Speaker Jim Scheer, the sponsor of a bill that is facing a potential filibuster must demonstrate sufficient support for a cloture motion before the measure will be scheduled for additional debate.